South Korea’s four major banking groups logged record net profits in 2018 on the back of robust interest income, with Shinhan Financial Group retaking its position as the country’s No. 1 banking group with the best earnings performance. Shinhan Financial posted a net profit of 3.16 trillion won ($2.89 billion) in 2018, up 8.2 percent from the previous year. It is the highest net profit recorded by the group to date, led by big gains from Shinhan Bank. According to Shinhan Financial, its bank-led interest income grew 9.4 percent on-year in 2018. Commission fee earnings from trust fund operations and other financial products also grew 13.3 percent on-year. On top of its main banking business at home, Shinhan said it reaped significant gains from its global and investment banking segments, the earnings of which grew 36.8 percent to 86.5 billion won in 2018. “Our achievement confirms the competitiveness of the ‘One Shinhan’ partnership model,” Shinhan Financial said in a statement, outlining how its profits are well dispersed across both banking and nonbanking segments. With its latest performance, Shinhan has regained its title as Korea’s leading bank. In 2017, KB Financial Group was Korea’s most profitable bank in term of net profits, relegating Shinhan to the No. 2 spot for the first time in nine years. Now behind Shinhan, KB Financial Group posted a net profit of 3.07 trillion won in 2018, down 7.3 percent from the previous year, hit by outlays related to a series of job cuts. KB Financial attributed the decline to one-time costs instigated by a voluntary retirement program carried out late last year. This includes 215.3 billion won (after taxes) spent on severance payments and 134.1 billion won (post-tax) on special compensation for employees. Moreover, additional costs from exchange rate fluctuations and declining profits from insurance products also contributed to a decline in the banking group’s fourth-quarter net profit, according to KB. Nonetheless, KB’s banking business remained strong, buoying the group’s profits. Interest income increased 8 percent on-year to 8.9 trillion won in 2018, while earnings from commission fees grew 9.4 percent to 2.24 trillion won. In third place is Hana Financial Group, which logged 2.24 trillion won in net profit in 2018, up 10 percent from a year earlier. It’s the biggest net profit recorded by the group since its establishment in 2005, it said. Like others, Hana Financial attributed its gains to robust interest income collected by KEB Hana Bank. Earnings from commission fees from activities like consulting for mergers and acquisitions and asset management were also big contributors. The two sources of income increased 10.5 percent on-year to 7.86 trillion won in 2018, the group said. Meanwhile, Woori Bank, which recently adopted a holding company structure, posted a net profit of 2.19 trillion won in 2018, marking a 33.5 percent leap from the previous year. Woori’s robust performance was mainly attributed to a surge in interest income, which jumped 8.2 percent on-year to 5.65 trillion won. In particular, interest gains from loans for small business entities grew 6.5 percent, according to the bank. 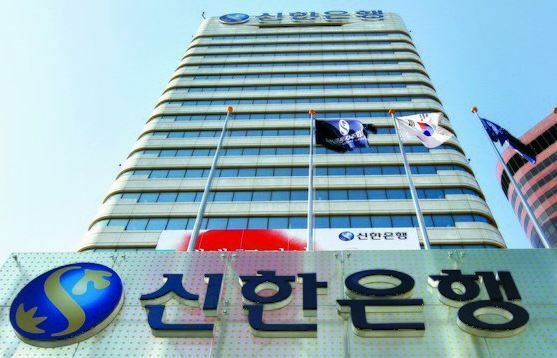 From its global business segment, which has branches across 26 countries, the bank also saw a 19.7 percent rise in net profit to 200 billion won last year.